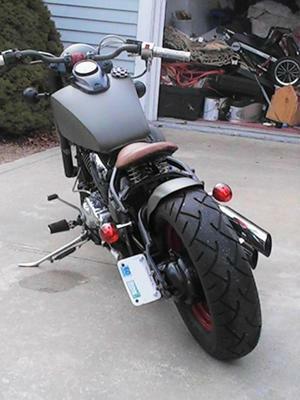 Re: My xvs650 Bobber Build: Hi everyone. My xvs 650 Bobber is still not finished but here is a recent picture. It is now all running nice and I took it out today despite the temp only being 0 degrees! Oh how good does it feels to get back on 2 wheels. Roll on spring.....please. I still have to paint the motor black and wrap the headers.